Virginia’s agriculture community had reason for a pre-holiday celebration when Gov. Terry McAuliffe announced a $2.43 billion bond package on Dec. 9 that will be part of his Fiscal Year 2017-2018 budget. The package supports capital projects to enhance the state’s technological and economic development infrastructure. 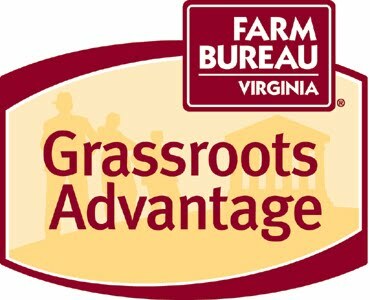 It includes first-phase funding for livestock and poultry research facilities at Virginia Tech—a project of considerable interest to Virginia Farm Bureau Federation. The Animal Sciences Department maintains a 200-ewe sheep flock, a 150-cow beef herd, a 40-sow swine herd, a five-building turkey center with facilities for more than 2,000 young and 1,500 adult chickens, and a herd of 75 to 120 horses for teaching and research activities on campus. The facilities for Phase 1 of the desired upgrade include 126,000 square feet for a new swine breeding facility, a new swine farrowing and finishing facility, a new equine barn, a new beef nutrition and physiology research laboratory, a new poultry grow-out facility, a new turkey production building, major renovations to the large animal judging pavilion, and numerous feed and equipment buildings.